water that are formed at the tip as the propeller generates thrust. gCapatain has photos of a new type of propeller. Although I have a hard time seeing it in the photos, this shape is similar in concept to the upturned wing tips that now common on commercial aircraft. Propellers are after all, really just wings that rotate around a central hub. Having seen this, I now wonder why we haven’t seen this before. 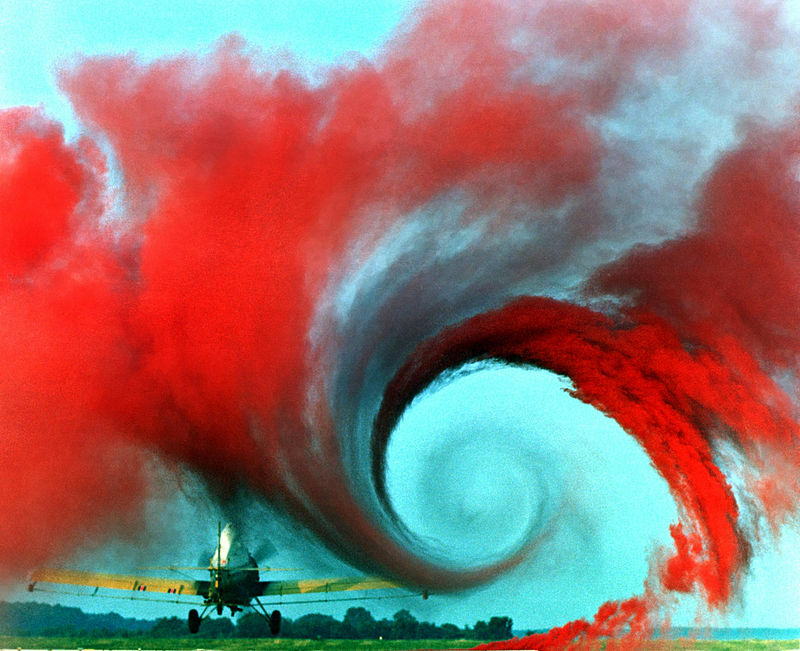 Diagrams of fluid flow over a airfloil section usually show a linear flow from the leading edge to the trailing edge, but actually there is also a span-wise flow that spills off the tips and creates vortices. They add drag and increase noise. Of course the reason the airlines use these devices is to improve fuel economy. The principle also works for propellers. This entry was posted in propellers, Ships, technology by Chuck Hill. Bookmark the permalink. it has probably been known, but todays emphasis on fuel economy probably got engineers going back over their sh*t looking for more economy. can’t believe that between wind tunnels, tank testing, etc that engineers just figured it out. being a wrench engineer, not always a fan of paper engineers but I don’t think they are idiots either. They talked a lot about how this worked in ballast, so it may be that it is most applicable when the ship is light and the prop is minimally submerged. This seems similar to the NP2000 propeller upgrade for some C-130 aircraft. This upgrade replaces the older 4-bladed propeller with an advanced design 8-bladed propeller with that includes curved blade tips. Reportedly, this resulted in markedly improved thrust and fuel economy, and decreased vibration and noise. One place they are using them is on aircraft supporting Antarctic operations. My understanding is that, previously, they needed to using JATO equipped C-130s for those missions, but have gained sufficiently improved performance with the new props that they no longer need the jet assist. The new props have found their way onto other aircraft like P-3s and E-2s, as well. Even just quieting C-130s down should be a big improvement. I read one comment stating that with the new propellers the crew could remove their headsets and have a normal conversation on the flight deck.